WE ARE A LOCALLY OWNED AND OPERATED GYM, not a national Big Box chain. OUR NEW 12,000+ square foot strength & conditioning facility is unlike anything offered in Tucson. We offer great personal training and group training programs, as well as open access gym memberships for those that know how to train and looking for the best strength equipment in Tucson. We specialize in many different modalities, from Corrective Exercise/post Rehabilitation, Kettlebell Instruction, Powerlifting Coaching, and General Strength & Conditioning. We have a highly qualified and certified personal training staff. ARE YOU A STRENGTH ATHLETE/ENTHUSIAST? We have built a world class gym for you to practice your craft. Whether you are a Powerlifter, Olympic Weightlifter, Obstacle Course Athlete, Bodybuilder, or Crossfit enthusiast we have the equipment no other gym in town has. We feature many hard-to-find toys that other open access gyms simply don’t offer. Tucson Strength offers highly qualified personal training as well as structured group training programs. Whether your focus is improved mobility, strength, conditioning, or weight loss we have a program that will fit your goals. Whether you are looking to improve your overall strength in the main power lifts, improve muscle size and strength, or compete on the platform we have the program for you. We offer numerous team coaching times throughout the week..
Our open access gym membership offers top of the line Powerlifting Equipment, Olympic weightlifting platforms, Obstacle Course setup, as well as a unique cardio equipment area. If you are an experienced lifter looking for a great training environment…. We have always offered workshops to further fitness education in Tucson. We regularly host or teach educational workshops, bring national training certifications to town, as well as host USPA powerlifting competitions. 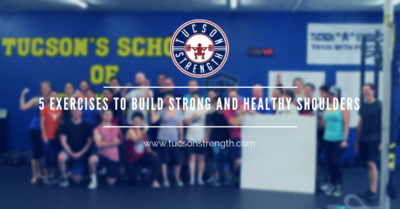 Visit our current calendar..
Tucson Strength is committed to improving lives and inspiring out members to become stronger and healthier in mind and body. We promise to create an experience for our members in an energetic and fun environment. We will always deliver excellent hands-on intruction and intelligent programming. We will persistently improve our knowledge and skills to lead by example and be the best in our field to serve our community. Train with Purpose has been our tagline since we opened. We will always have a vision of being better than we were yesterday, last month, last year.We strive to always increase our knowledge as well as improve ourselves physically and mentally. Maintenance is not an option. We must embrace change and learn new skills. Persistence in improving ourselvesis who we are. We will always find the best way to serve each of our members, and will meet them at their level. Our intention will always be to encourage, inspire, and make sure our members have access to the tools they need to succeed. Laughter, friendship, and community are at the heart of Tucson Strength. We will make it fun.Anyone can take you through a workout, but creating a results-driven community that allows people to laugh and enjoy their experience is priceless. Anyone can take you through a workout, but creating a results-driven community that allows people to laugh and enjoy their experience is priceless. 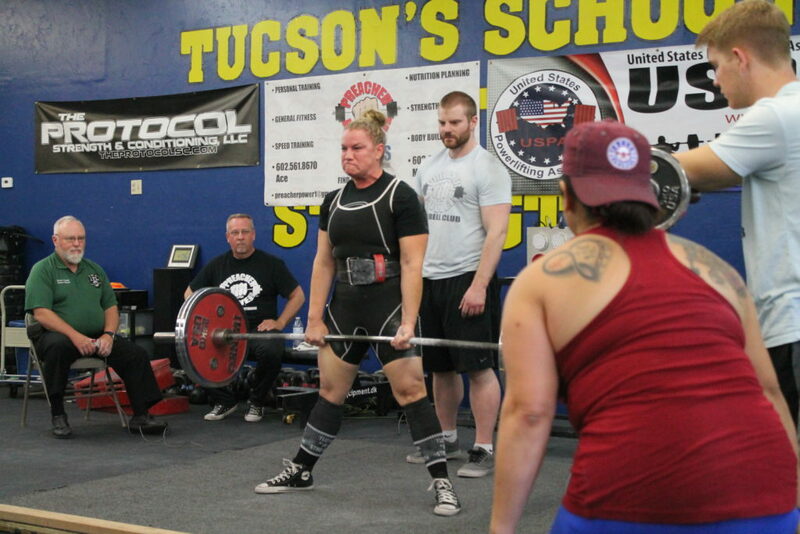 At Tucson Strength and Tucson Barbell Club we are about community and supporting everyone. Whether you are a open gym member, or part of our training programs or teams we expect everyone to respect all members of the Tucson Strength Community. We also have high standards and expect all members to respect and be responsible with our equipment and facility. Every member of our community must sign our Code of Conduct…. Danny and the staff can motivate me, and give me a hard time all at once and it works. Most importantly they have my best interest in mind, even when it is not what I want to hear. The environment at Tucson Strength is one you will not find anywhere else. I cannot believe the progress I have made in my time here. I am excited to see where this powerlifting journey takes me. I am so proud and honored to have Danny and Sergio and all the coaches of Tucson Strength by my side. Tucson Strength is the real deal!!! Danny, Jesus, and crew are not in the fitness industry so much as they are the wellness industry. They work with you and the physical, personal, and life restraints that have held you back and come with a plan for you. With Tucson Strength, I’ve found a home. I’ve found a community. I’ve found a new, better, long lasting version of me. I’ve found wellness in addition to fitness. We hope you enjoy many of our articles on strength, nutrition, and movement.